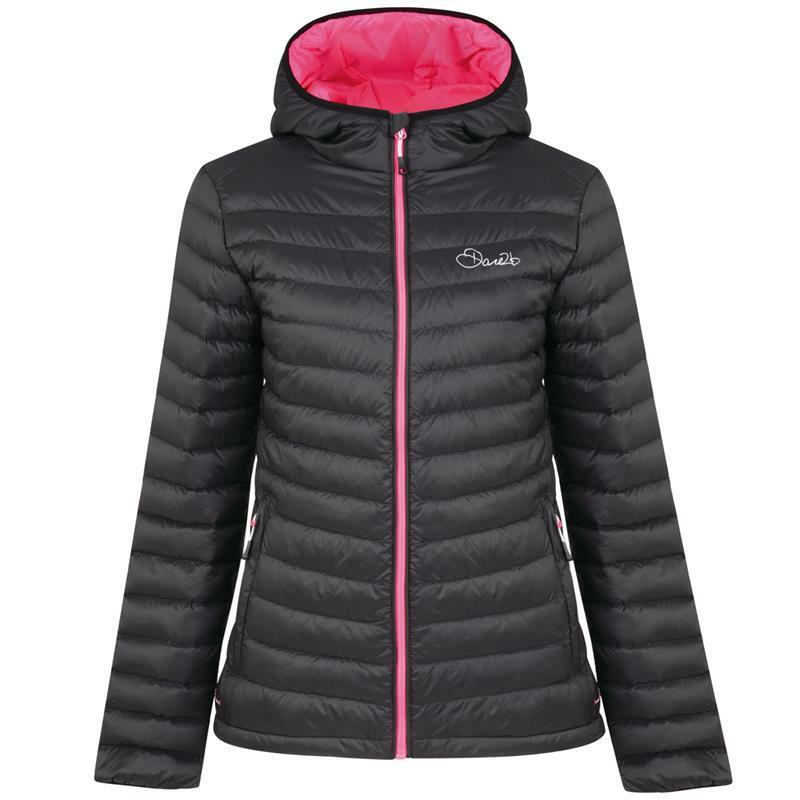 Dare2b Ladies Drawdown Jacket - Black. The Drawdown jacket from Dare2b, is a lightweight premium duck down baffle jacket that is soft to touch with a water repellent finish. Made from durable polyester fabric with a down proof finish to keep the fill locked in place, while the stretch binding gives a streamlined fit that seals in the warmth. Layer it under shell jackets on the coldest of adventures. Premium duck down fill - 90% Down/ 10% Feathers.